Wanting an R9150 Durace Di2 hydro build and needing 180mm cranks, I elected to order just the frameset. I'm having to scour ebay for international sellers that have the various group components. It should be a good four weeks before I have all the bits here to build it. I'll post it here when's its done. Tire clearance for 25s with wide wheels no problem. 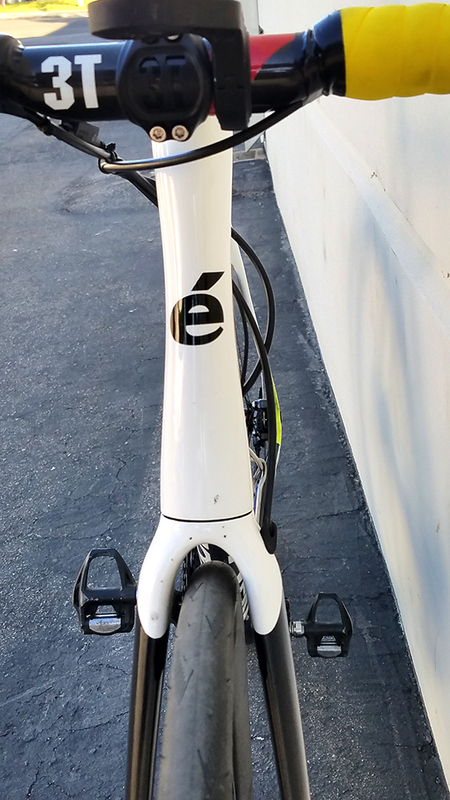 Pic below (demo 58cm bike) is OEM Conti 23mm on Enve SES 3.4 24mm external width. I don't think 28's will fit unless you shoehorn them onto really narrow rims which defeats the purpose of 28's anyway. Last edited by Emilio700; 03-25-2017 at 08:43 PM. Thanks for the info. What size frame is it? 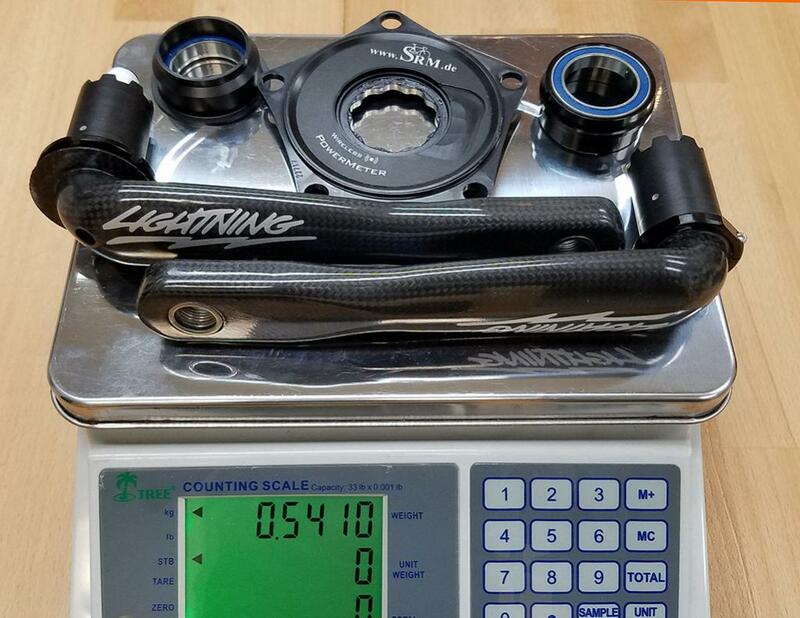 Lightning carbon cranks are on the way to SRM. SRM was very helpful and suggested I let them install and calibrate. You bet! DA 9170 Di2 hydro shifters and calipers won't be available until almost July so I bought some takeoff ST-RS785 (Ultegra-ish) shifters and BR-S805 (105-ish) flat mount calipers to build it in the meantime. Cranks arrived from SRM after being calibrated. Wow they are light. Wheels just arrived from Lightbicycle. 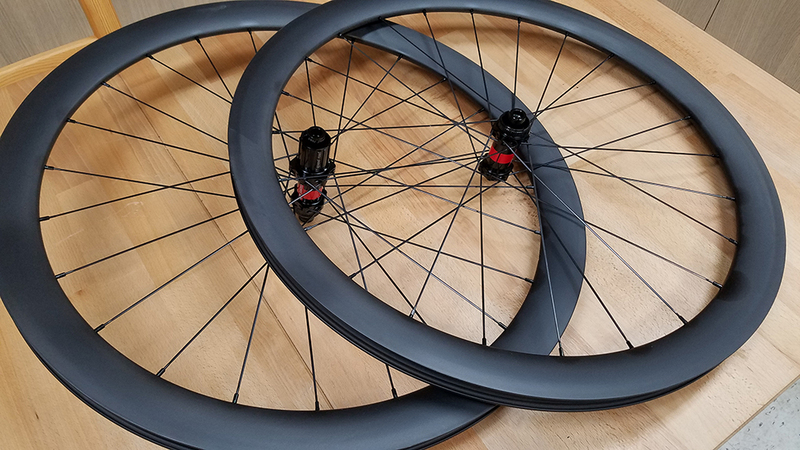 Their new 46mm tubeless, 24h DT240 centerlock hubs, CX Ray. So clean. 72g rear QR will be replaced with a 28g Extralite Blacklok 12.3 bolt on. SRM meter showed up. Fit the cranks but way wrong offset, chainline was off by 13mm. Sent the SRM back. Ordered the last Power2Max 110x5 bcd meter with correct offset in existence. Cranks were the 1x MTB version. 162mm Q factor instead of the road 2x 147.5 Q factor I though I was getting. Tim at Lightning said they do that on the longer cranks to reduce interference with fat chain stays. Measured everything and the S3D has room for the narrow Q version so I sent the cranks back too. Road 2x version on the way. Got tired of waiting so I borrowed the old D/A 7900 cranks and D/A 9000 left crank/Stages meter off other bikes. Done a few rides on it and I love it. Much smoother riding than the S5 and hugely stiffer front end. Tubeless 25's vs tubed 23's, thin tube seat stays vs burly aero seat stays on the S5, tapered steerer vs 1.125 steerer. Disc brakes are The. Bomb. It's running non series Di2 disc STI's and calipers while waiting for the DA9100 stuff to become available. Currently 17.5 lbs. Should end up around 17.2 when it complete. S3 D heat tube is a full 15mm shorter than last years S3... and it's still too tall. 3T stem flipped, no spacers. Looks goofy but the fit is spot on now. 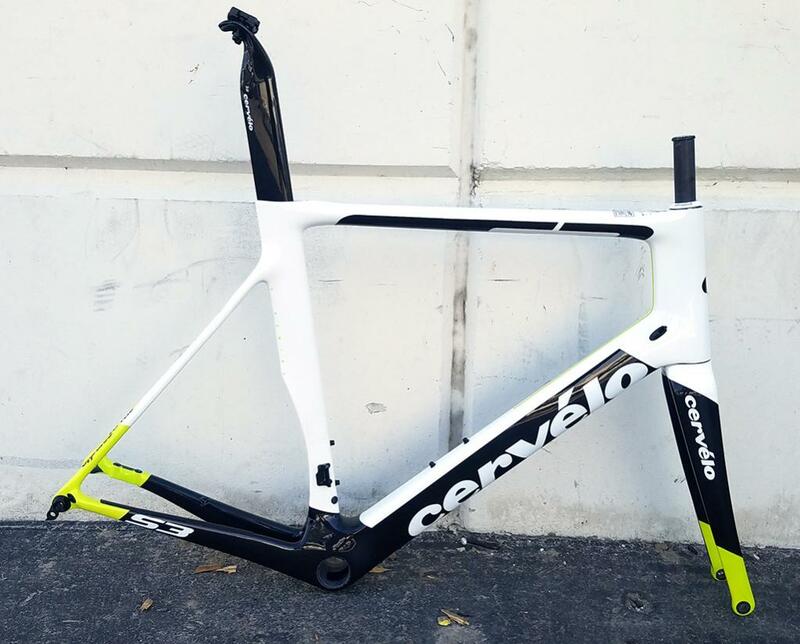 The new Cervelos with aero posts have a much lighter single position design as opposed to the old convertible design. The OEM post on my bike was the +25mm setback version which was too far back for me. $243 later (ouch) I have the 0 offset version. Rear bolt on axle is from Extralite. Black-Lock 12.3 Maxle. Much lighter than OEM QR. Got creative with cables trying to keep them out of the airstream. Last edited by Emilio700; 05-19-2017 at 08:37 AM. First week of riding on the new bike and... I'm in love. It's even better than I expected, and I had high expectations. Two hard group training rides and one epic long climbing day on backroads in inclement weather. The club rides feature a 10% 350' climb at full gas and a long rolling downhill section where we draft at 35-40mph for about 20 minutes. The long day was 114mi with 8000' gain featuring Los Gatos climb a 20-25% brute climbing about 400'. 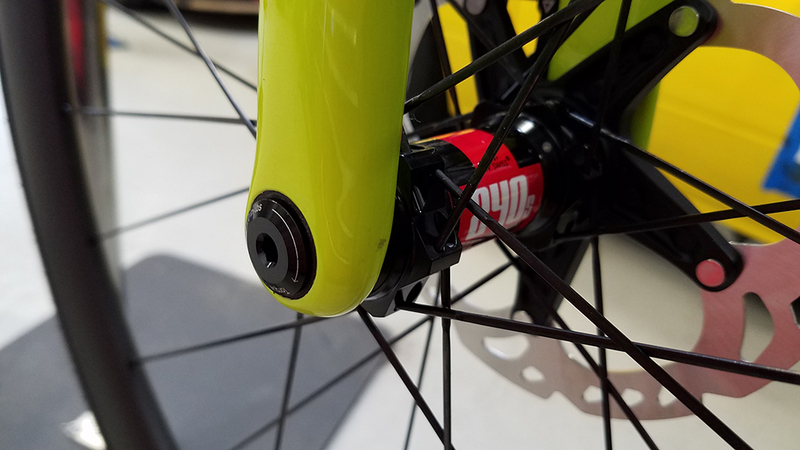 With the svelte seat stays and tubeless 25c's, I was expecting better shock absorption on big hits and better damping of high frequency buzz on rough back roads. Got both. 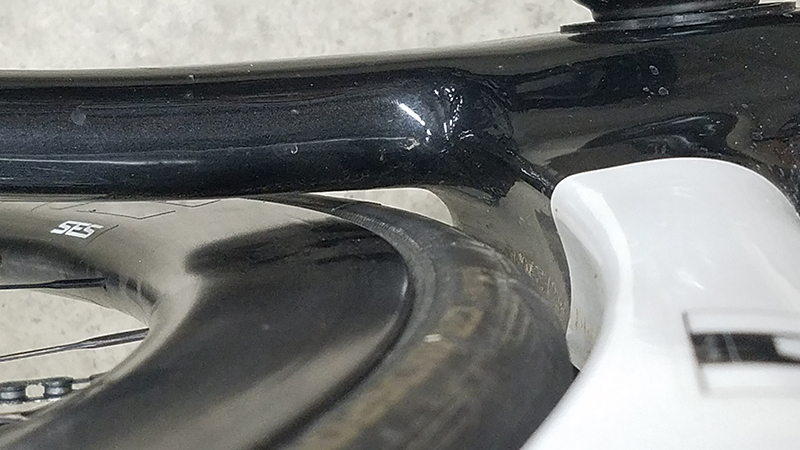 Cracks and little holes in the pavement get sucked up by the tires where the S5 on tubed 23's would whack through the handlebars and seat. It's quieter too. Just muted thumps where there used to be sharp impact noises. I'd venture to guess that most of the ride quality improvement is from the tires but I can see where the frame contributes. I also think the new setapost design with it's slightly cantilevered section contributes to take the edges off big hits, but that's conjecture. 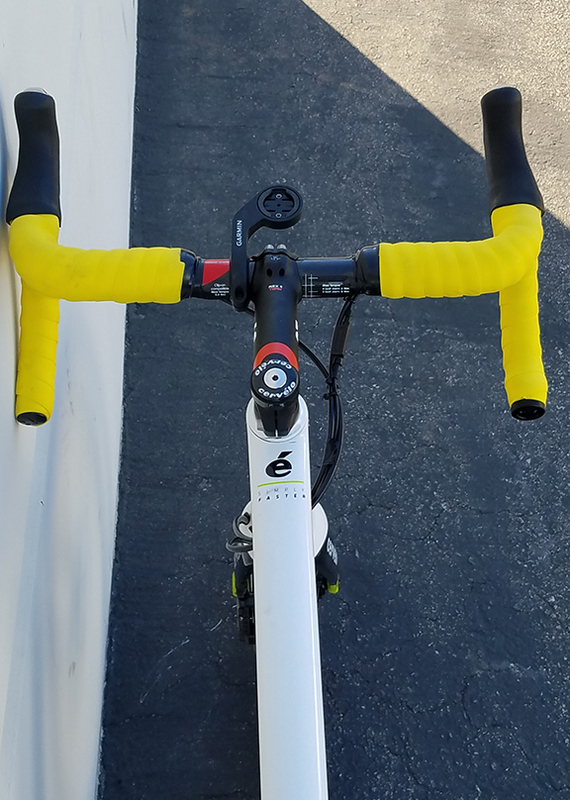 Hard to quantify the aero differences between my very slick S5 Di2 and Zipp 404's but I feel comfortable and saying that any differences are infinitesimal. For the brief week or two I did the club rides on my cross bike with 28's, I struggled a bit to close gaps on the fast drafting sections when the paceline was going full gas. Conversely, on the S3 Disc I could camp out on the front and actually cause gaps behind me if I ramped the wattage up a bit. Also managed to attack on a fast descent where everyone pushed the pace and gapped all but two riders. It's aero. This is where I was really surprised. My 2011 S5 was a 1st gen with 1-1/8" steerer. I had forgotten that the S3 Disc featured the now de rigueur 1.125/1.5 tapered steerer. 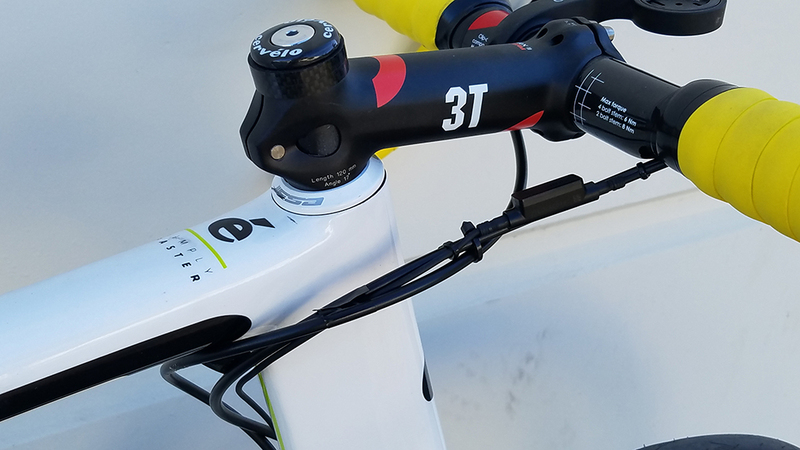 Besides the typical evolutionary improvements seen in the last 7 years to stiffen all Cervelos, the tapered head tube makes a huge difference. The way this things climbs and accelerate out of the saddle, leads me to think it would be a good sprinters bike. That it manages that spark and explosivity while riding so well is both a technical marvel and delight. The club rides, TMWC and our Thursday RnR road ride have a few key sections where the top guys are jumping at 500-700w over the top of a 2-4 minute 300-400w climb and the S3D just goes where the Gen1 S5 would soak up some of the acceleration in flex. About 200 miles on it so far so not much to note. I wish the heat tube was 15mm shorter but that's a common complaint for all larger sized Cervelos. The pros all ride 1-2 sizes small with long stems to get their bars at the right height. Headset adjusting bolt took maybe 1/3rd turn once the bearings settled in. No cable rattle although I have my Di2 and hydraulic stuff routed quite a bit different than OEM. Thanks for the review Emilio. I've been thinking of building one of these up with the new R8070 group. PS: I think I was the first guy in Canada on the first batch 15x9 6UL's back in the day. Glad to hear 949racing is still kicking around. 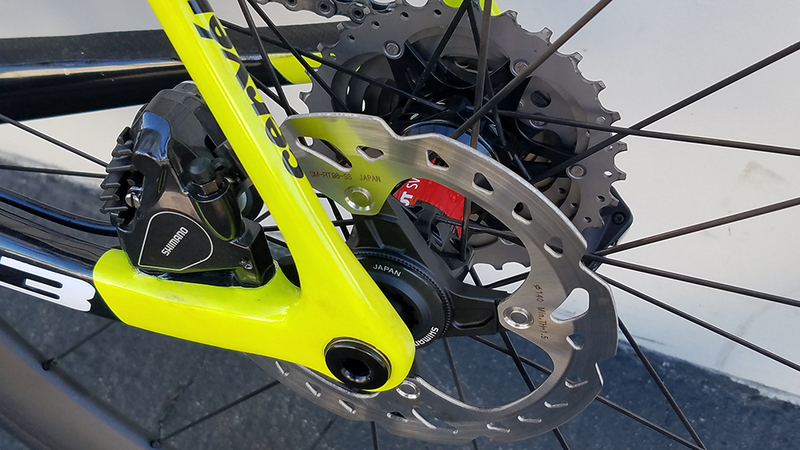 The SRM spider is for the Specialized FACT cranks, which is the same spline as the Lightning. Damn, I hope Ford doesn't see them using that logo... Or maybe the trademark ran out by now. Why did you not use an Extralite for the front as well? I also see the 12.3 Extralight rear listed as 176mm long. Is this the one you used for the rear? Want to use these for my impending S3D build. Rear was the 176mm "12.3"
I got myself a 2018 S3 Frameset too. Did it come with a bottom bracket? Sorry for the late reply. Changed my email address and the forum software locked me out. Fixed temporarily..
Frameset did not ship with BB. Got mine from Wheels Mfg. Like all Cervelos, its "BBright". The frameset in the OP is now for sale. Upgraded to a 2019 S5. Asking $800 for the 2017 S3 61cm frame/fork, includes headset. Never crashed or dropped. Some minor nicks and scratches. Comes with your choice of standard 20mm offset or optional zero offset post. Steerer is cut roughly 40mm above headset so you have room for about 10mm spacers. Those look badass, which is great as by coincidence I just ordered the same configuration for an S3 I'm building. I think the only difference is I specced brass nips. 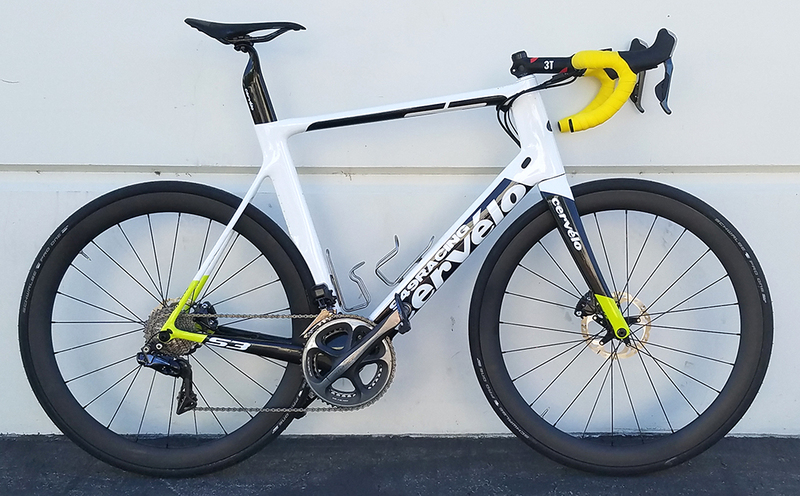 Anyone with a Cervelo R3 disc? 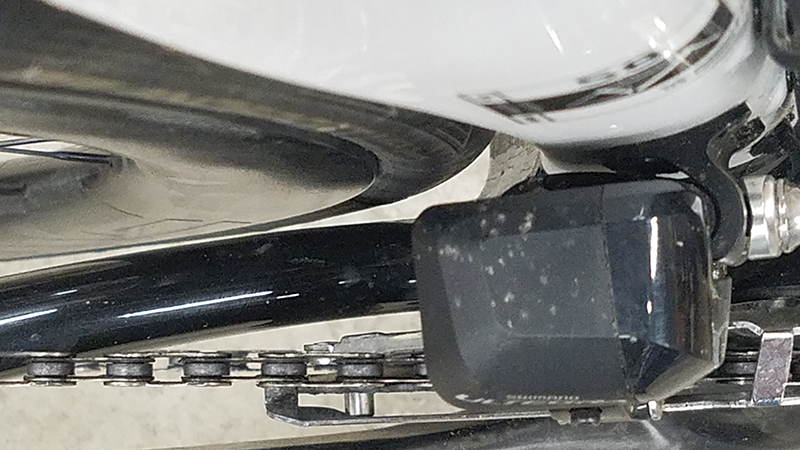 Got questions about the bottom bracket/crankset!